Majestouch 2 is now available finally! Better typing feel? The superior quality we have been seeking is now available! 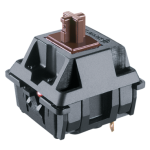 In pursuit of the real taste of The Cherry MX switch, we have focused on improving "typing experience" thoroughly by renewing from the first process. 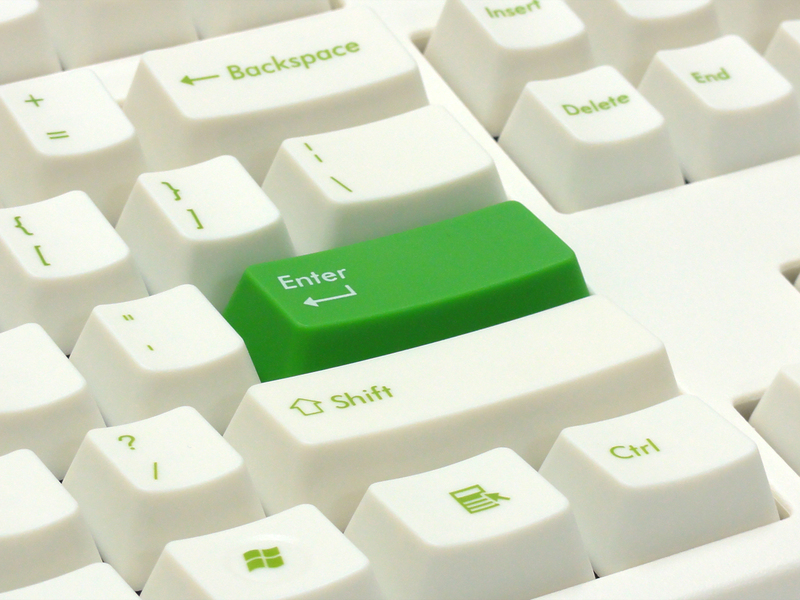 Enjoy yourself with this real keyboard. PC board is all renewed! It delivers you a better duration, quality and typing feel! Double layers is adopted for a new board. Through a hole of each switch has been firmly soldered. With this, it can release any excess load or vibration that you make when you type in to a board not only to a metal plate inside. It enables you to enjoy a better typing feel! Not only a typing feel, but also a software got all renewed! 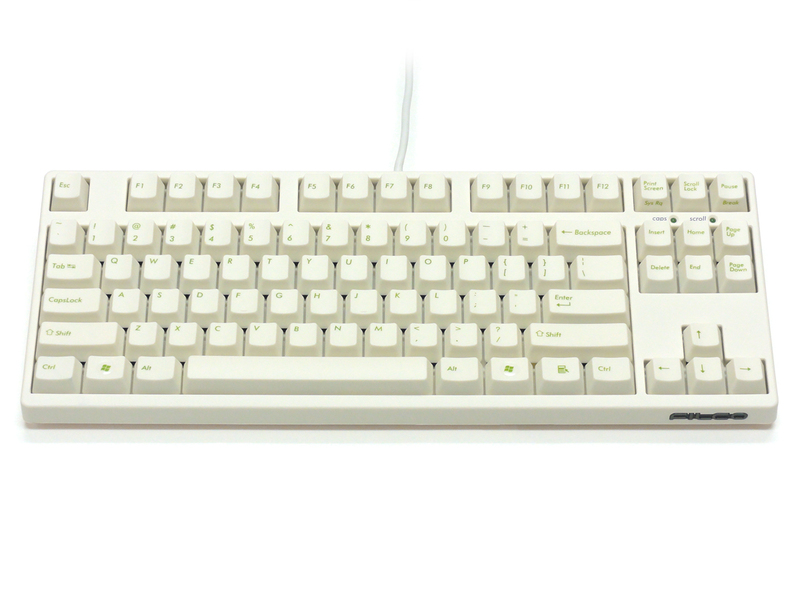 Now there are many keyboards that are designed for gamers are available. However almost all of them are designed without considering the fetures of a mechanical switches. Hence, it results in experiencing unexpected troubles or errors when in use. That may effect on the reputation of a mechanical switches. 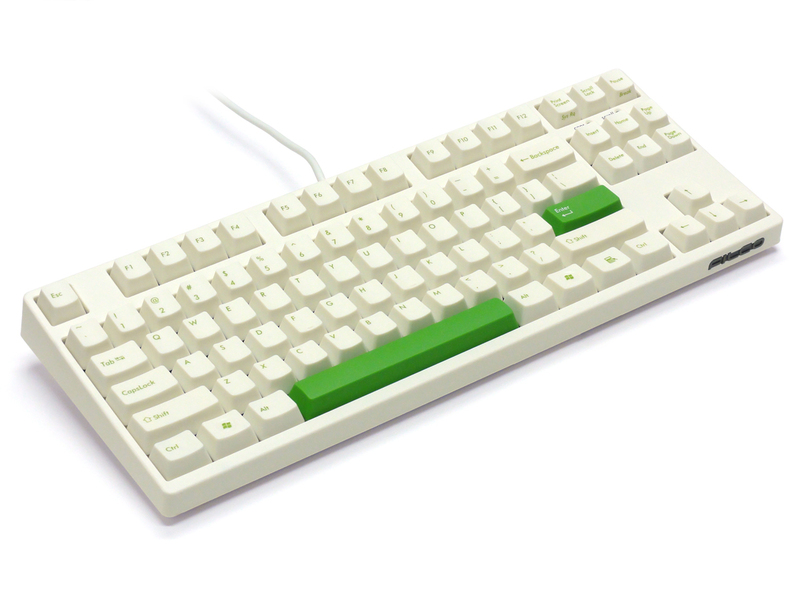 Our new software is designed for gamers who want a premium keyboard that meets a professional usage. We made it enable by bringing up a level of data transmission rate to maximum. With this keyboard, you don't need any other pretentious keyboards! 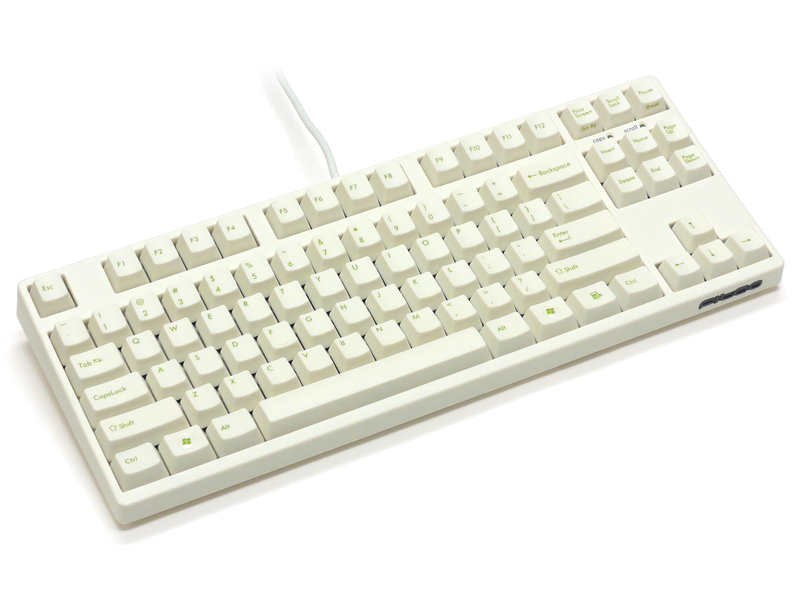 It is the functionality by which all the typed keys are recognized on the PC, evenwhen many keys are typed simulteneously. All the keys typed simulteneously are recognized on the PS/2. (Limited to 6 keys typed simulteneously for the USB due to the specifications of USB.) A completely dedicated electronic circuitry to this model ! On our models a diode is soldered on the printed circuit for every key switch to prevent from counter currency. Dimensions 14.10" x 5.30" x 1.30"
This is my first mechanical keyboard ever and I am in love. I got the blue switches and every keystroke is incredibly satisfying. The plastic has a nice texture and is very stiff and the keyboard as a whole has quite a bit of heft to it so it feels like a nice piece of equipment that doesn't creak or rattle around as you type. The rubber grips on the flip out feet and the front corners do a good job of keeping it stuck in place. The instruction pamphlet that comes in the box is 100% in Japanese besides some safety warnings and I couldn't find any English translation but it looks to me like it's just instructions on configuring an IME and not anything to do with the function of the keyboard itself. 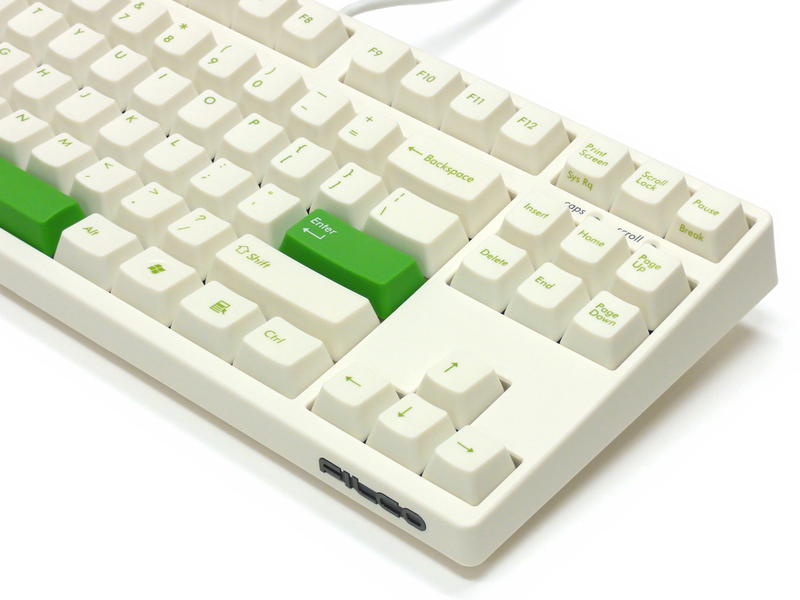 This particular version comes with an extra green enter and space key and a Filco keycap puller. I've only replaced the enter key at the moment but when I pulled it off I found the stabilizer was well lubricated and none of the keys squeak out of the box.